It all comes down to marketing. Even with an innovative product line or low prices, sales will be abysmal without a strategic marketing plan in place to reach your target audience. This is where content marketing comes in as a way to distinguish your brand. The benefits are impossible to ignore. Producing content that delivers value establishes your business as an authority. It also builds trust with prospective customers when they discover your content – both of which ultimately contribute to increased brand awareness and more sales. Video is another medium for content marketing that is worth investing in. With over a billion users (about one-third of all online users), YouTube generates billions of views every single day. YouTube is also the second largest search engine – larger than even Bing and Yahoo! – which means that people can discover your videos when searching for target keywords on YouTube. But the real traffic comes from ranking your video on Google. Getting your videos ranked on Google can drive a considerable amount of traffic to your site. But simply creating a video and uploading it to YouTube is no guarantee that it will generate views – which is exactly the approach that many people take with little results to show for. So how can you push your videos higher in the search results? Ranking videos in the search results starts with keyword research. Even before creating your video, your first goal is to identify potential keywords to target. Why? 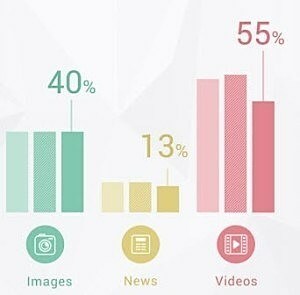 Because 55% of all keyword searches turn up at least one video in Google’s SERPs – and 80% of those are YouTube videos. This is important because you want to target keywords that display video results on the first page of Google. That way you can be sure that your video will generate search engine traffic. Conduct any “how to” search and more often than not you will see results from YouTube or other video platforms. Even though these videos were published several years ago, they still rank on the first page. Creating videos that target these types of phrases and ranking them can drive more traffic to your site. So how do you find keywords to target? Broad search terms generate more traffic but ranking for them requires far more resources. On the other hand, going too narrow runs the risk of barely generating any traffic. Note that Keyword Planner now only displays a search range for average monthly searches. But you can still use the tool to get a general idea of whether a keyword is worth pursuing. By the low search volume, this keyword might not be worth going after. Ideally, you should be targeting keywords that get a decent amount of search volume for your niche without too much competition. Keyword research is perhaps the most important step, so take your time here. When YouTube was first launched, part of the ranking algorithm was based on view count. This made it incredibly easy for channels to spam their videos to rank higher by simply refreshing the page over and over again or using bots. YouTube has since revised their algorithm to reward videos with higher engagement. If users are clicking away after only watching a few seconds of your video, it sends a clear signal to the ranking algorithm that the video is possibly spam (or just low quality), which has has a negative impact on its ranking. Average viewing duration: This one is fairly straightforward. The longer that visitors stay on your videos, the better. You can view stats on average view duration through your dashboard. Comments: Comments are another indication of user engagement. It also means that people are staying on your video long enough to leave a comment. 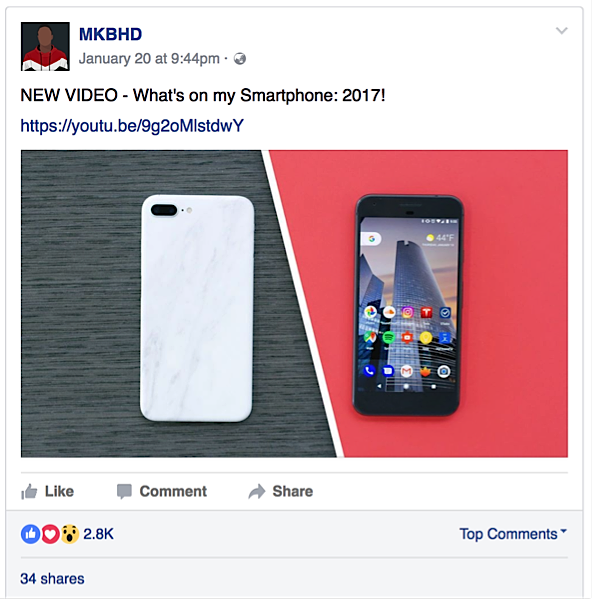 Social shares: This refers to the number of likes your video receives and whether it is getting shared to other social media channels. Again, the more shares the better. Video length is another metric that you shouldn’t overlook. Similar to how longer content tends to rank higher in the search results, longer videos also tend to rank better both on YouTube and Google. Several of the videos in the top results are well over an hour long. 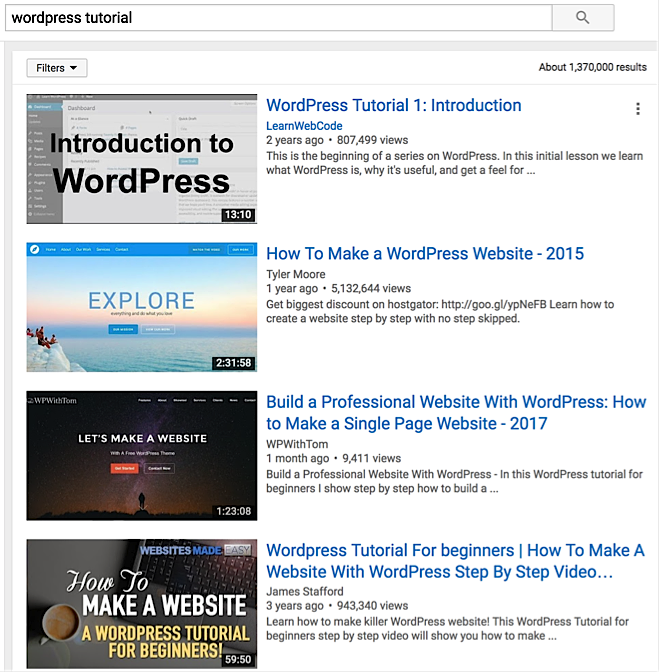 If you run a few searches across various topics from tutorials to product reviews, chances are you’ll see longer videos at the top of the search results. And for good reason too: videos tend to be how-to’s or guides, and therefore longer videos have more depth to the content. With more people watching TV shows and movies online, longer content is becoming more standard. Of course, the bottom line is make your video as long as it takes to cover the topic in a way that makes sense. If you are creating an explainer video, for example, then it should only be a few minutes long. Now that your video is finally ready, the next step is to upload it. But first you need to optimize it for SEO. Optimising your titles and descriptions will help your video rank higher on Google and YouTube. 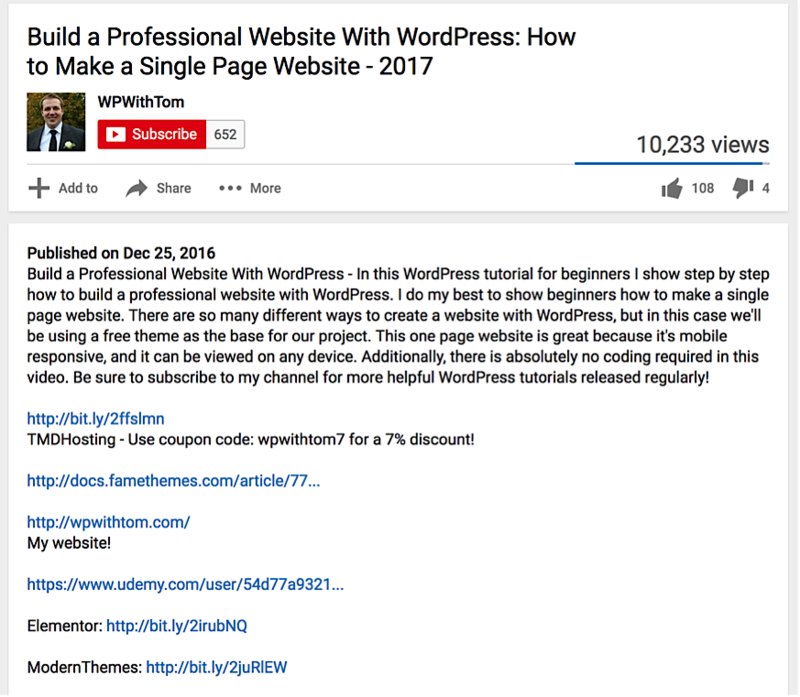 The title is written in a way that communicates value to anyone searching for tutorials on WordPress, rather than just including the target keyword. The description also provides more details about the video and additional links. This is beneficial both from a user and an SEO standpoint. Users can read the description first before clicking the play button and Google is able to better determine what the video is about. Titles: Include your target keywords and a reason for viewers to watch (e.g. 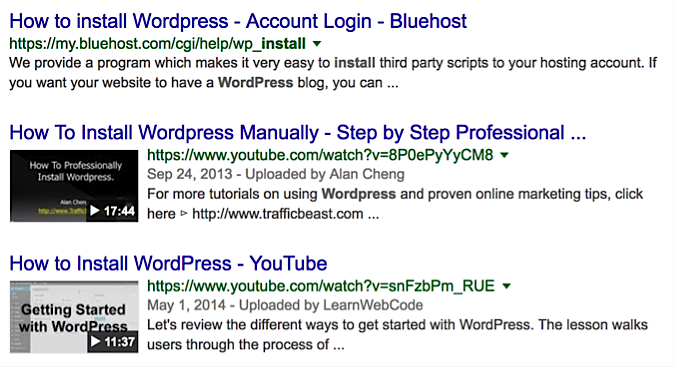 How Build a WordPress Site For Your Small Business) without stuffing your keywords here. 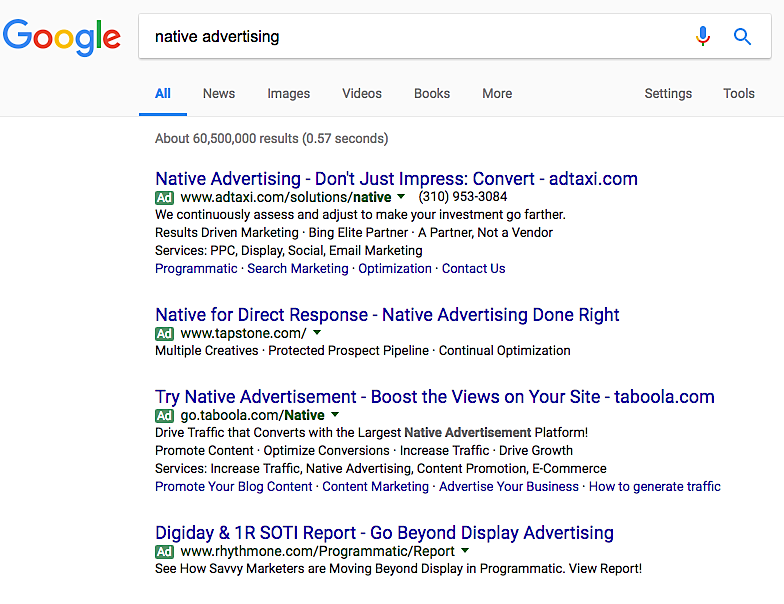 A good method, as Brian Dean suggests, is to let AdWords do the work for you: do a Google search for your keywords or key phrase, take a look at the ads that display at the top or bottom of the SERPs, and then include some of these additional keywords into your title. Tags: While your video won’t jump in rankings by simply including tags, every bit counts. 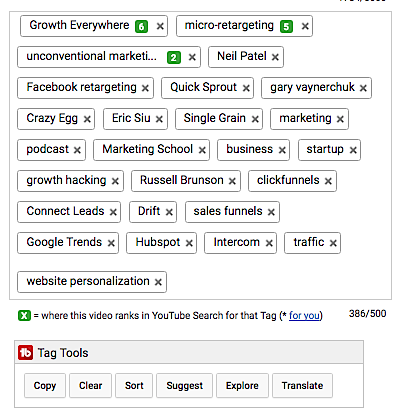 Choose tags that are actually relevant (in other words, the words and phrases that people are likely to type into the search bar when looking for a video like yours). A great tool to help with tagging is TubeBuddy, which also shows the ranking for most popular keywords. Whether for animated video ads or in-depth tutorials, optimize these aspects to boost their rankings in the search results. Once you finish, you are ready to finally publish your video. The next step is to get some views. Marketing is key to getting your videos ranked. Unless your channel already has a ton of authority, your videos simply won’t rank on their own. You need to generate views and build backlinks. It sounds like a lot of effort but this is actually a good thing. The fact is that although many businesses upload their content to YouTube, most don’t put in the effort to actually market their videos. 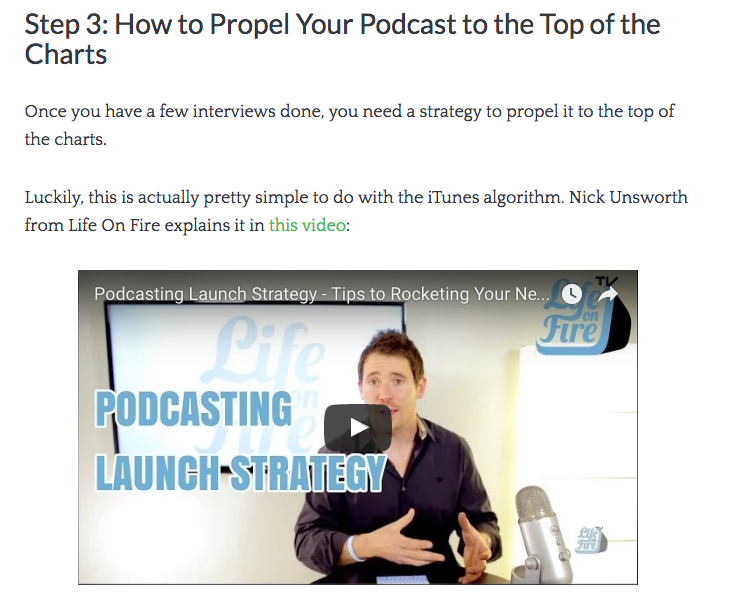 So promoting your videos gives you a major advantage and results in higher rankings. Upload to social media: Get the word out by posting your video on your other social media channels such as Facebook and Twitter. You can generate even more view by posting to relevant groups on Quora and LinkedIn. Embed on a blog post: Your own site is another great place to promote your video. Simply create a written blog post version and embed your video in it. Include a link to your YouTube channel. Send in an e-mail newsletter: E-mail is another great promotional tactic to generate more views – including a video in your e-mail newsletter gets a 200-300% higher click-through rate. Be sure to write a brief description. The post has already generated thousands of likes and quite a few shares, both of which help to boost video rankings on YouTube and Google. Video rankings don’t simply appear overnight. But starting with these quick tips to optimize and promote your videos will boost your video rankings in the search results and drive more traffic to your site.